1 date that works for the majority: to achieve this Harpers Bazaar suggests circulating potential dates around the office and going with the “majority rules” when making the final decision. 1 large party venue: a recent Eventbrite survey found that 50% of respondents wanted their party to be held in a dedicated space, and only 8% wanted it held in the workplace. 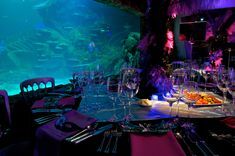 Often you get more than just the venue – Merlin Events team is made up of experienced event managers who will take all the hard work out of organising the event for you. A liberal sprinkling of drinks – many would say this is the most important ingredient! Depending on your budget a free welcome cocktail (in company colours) sets the tone, followed by a wine, beer and soft drinks package arranged with the venue. A large handful of party food – forget the dried turkey sandwiches or vol-au-vents. Think modern, stylish and tantalisingly tasty. A large helping of entertainment – this is a must to help to break the ice and make your party go with a swing. So make sure you’ve got a decent amount allocated in your budget for good entertainment. A pinch of style: 58% of people surveyed think a dress code for the Christmas Party is a bad idea, so why not opt for something more casual? Instead you could have a box of fancy dress clothes, or sprinkle festive accessories around your chosen venue for people to put on if they want – think of the #ChristmasSelfie possibilities! 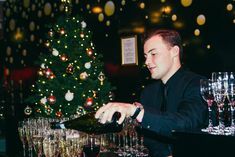 If you’re a small business then why not consider a shared Christmas Party or if you want something really different then check out London Dungeon Lates. With theatre, special events, and a lot of after-hours scary fun they’ve still got tickets available for 20th, 21st and 22nd December. So mix the ingredients thoroughly together then relax and rely on the event manager to deliver a fantastic party that will make you look REALLY GOOD (and enable you to be a little smug with your super-organised friend). Sounds like a perfect recipe to end the year with a bang! Should we have a Christmas party?